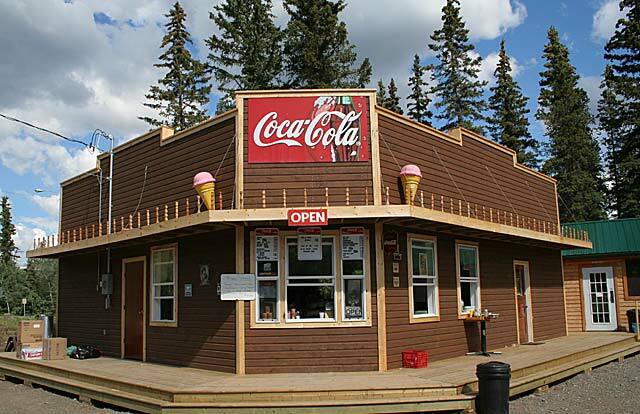 "I've travelled a lot around on this planet, I'm always hungry and the best burgers I ever tasted between Melbourne, Australia and Inuvik, Canada is at the canteen of the Coal Mine Campground. Recommendation: Double Cheeseburger and Bacon." the best I've ever tasted!" "The best burger I've ever had"
Welcome to the Coal Mine Campground web site. Enjoy a peaceful rest with the mesmerizing flow of the Yukon River right along your doorsteps. We have 5 cabins available for rent. Three cabins have 2 double beds and 2 single beds and two cabins have 1 double and 1 single bed.